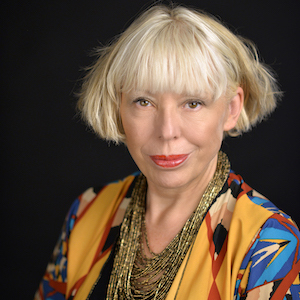 In a career that has defied categorisation, musician, writer, composer and lyricist Barb Jungr has been critically lauded for her insightful and passionate interpretive style, described as ‘revelatory’ by the New York Times. Her deconstruction/reconstruction of popular songs and unusual and beautiful musical arrangements are characteristics that allow the listener new insights into familiar music. In recent years, Jungr has brought her singular talents to the songbooks of Bob Dylan, Leonard Cohen, Nina Simone, Jacques Brel and more, creating the genre of the New American Songbook. In her 45 year recording career alongside many collaborations she has released 18 solo albums, many for Linn Records, receiving outstanding reviews worldwide and winning many awards. Jungr received the New York Nightlife Award for Outstanding Cabaret Vocalist, the Backstage Bistro Award for Best International Artist, and Time Out New York‘s #1 Top Live Cabaret Act for 2011. She is regarded as one of the foremost singers of Bob Dylan’s songs, and appears and tours regularly across the UK and USA, in Berlin and Australia. Jungr has written the music for, and co-adapted, several productions for both Polka and the Little Angel Theatre, and co-wrote the songs and book of Liver Birds Flying Home for the Royal Court, Liverpool, earlier this year. Often on BBC Radio 4 Barb has appeared on Woman’s Hour, Saturday Review, Front Row, Saturday Live, Start The Week and more; on BBC Radio 3 In Tune, and on BBC TV. She has been the subject of an hour long special on The Kate for PBS on national US TV.